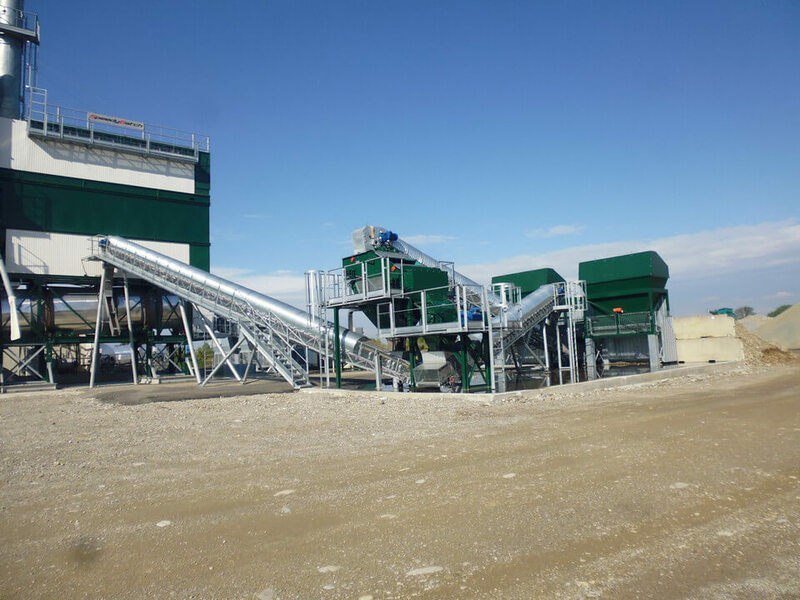 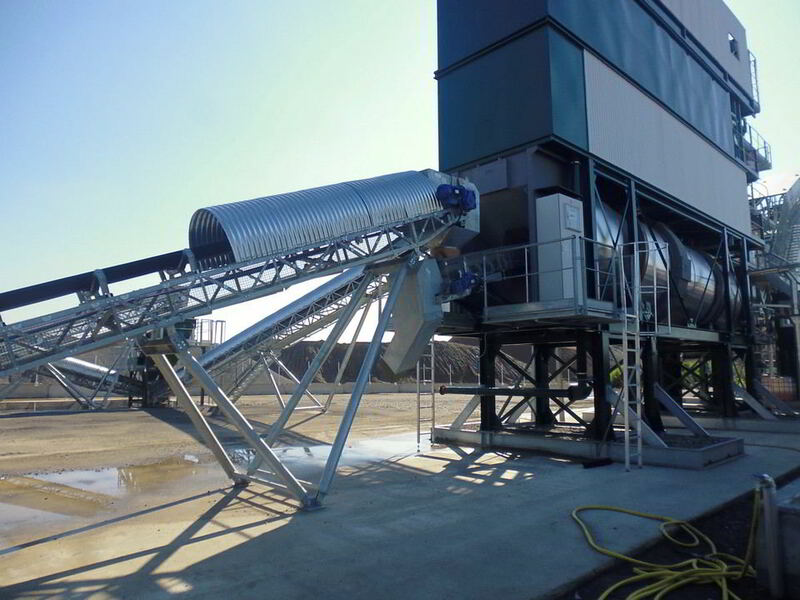 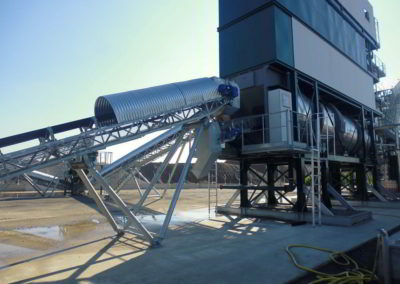 A bitumen plant is a plant used for the manufacture of asphalt, macadam and other forms of coated roadstone. 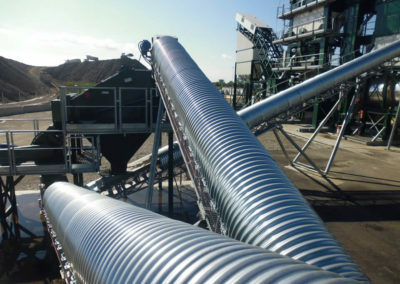 The manufacture of coated roadstone demands the combination of a number of aggregates, sand and a filler. 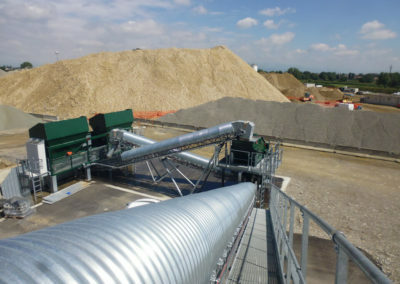 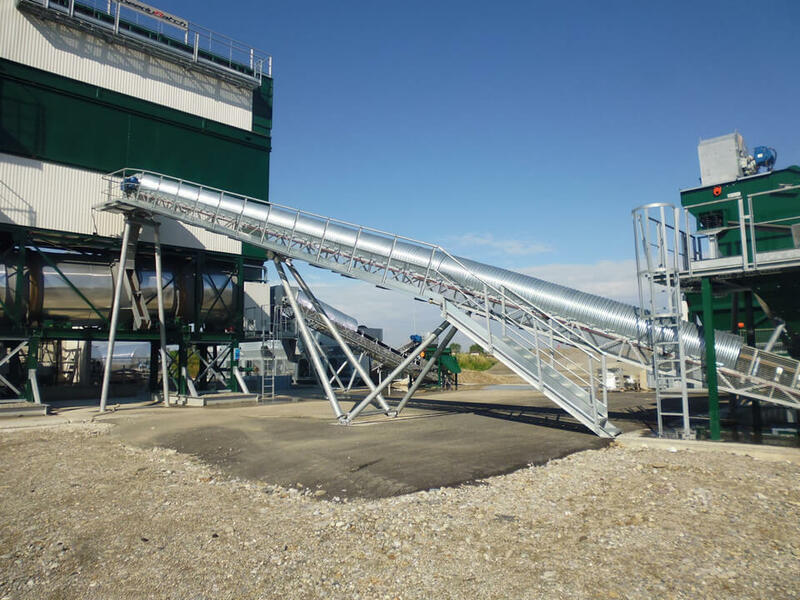 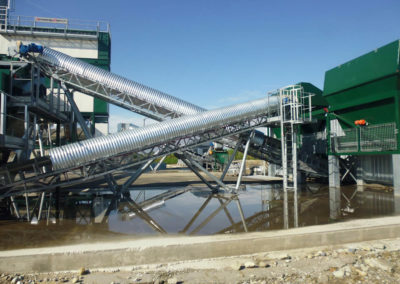 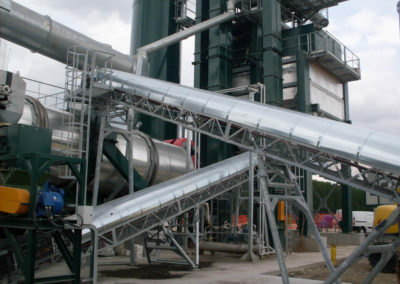 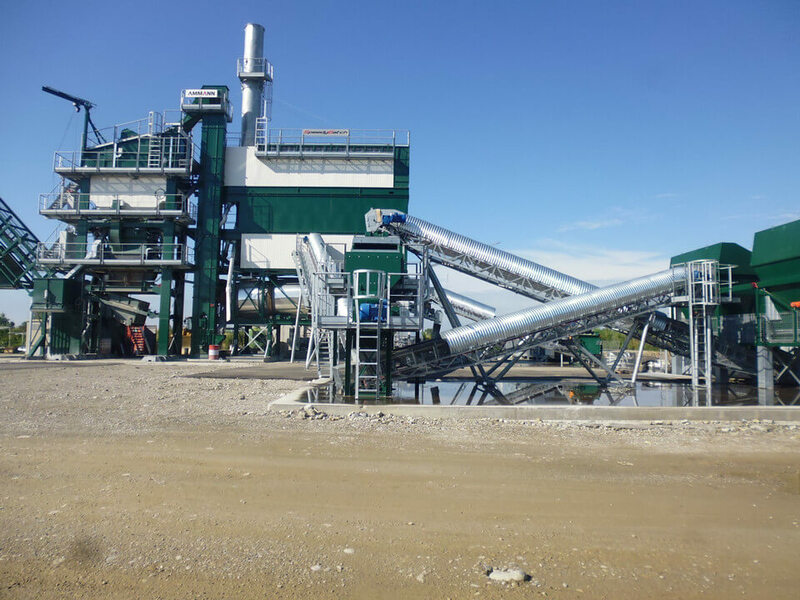 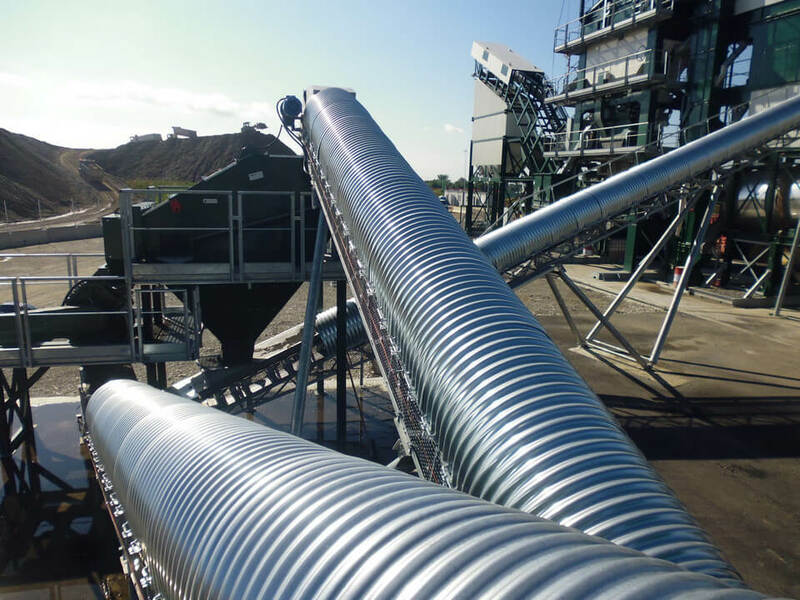 The conveyor systems are crucial in the bitumen plants to transport all the raw materials, in particular in this field it is important to create a conveyor with small sections but able to carry high volume of materials.